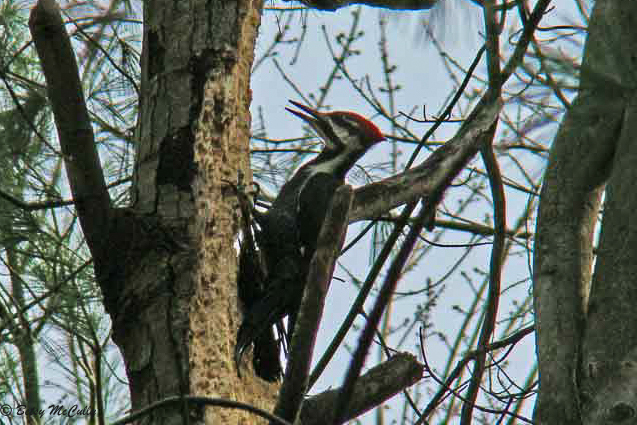 Pileated Woodpecker (Dryocopus pileatus). Forests. Needs mature forest with dead and downed trees. This individual observed at Ward Pound Ridge, Westchester.